There is a movement towards advanced and predictive analytics in the Learning and Talent Management space. But what does that really mean? 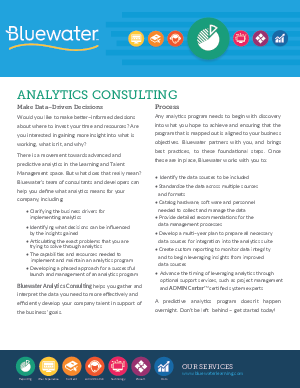 Bluewater’s team of consultants and developers can help you define what analytics means for your company.